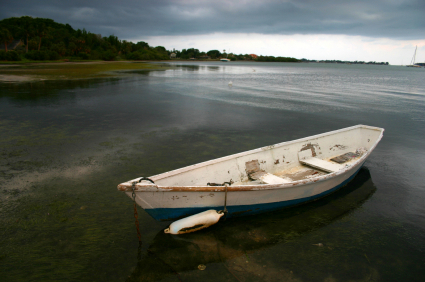 Beaching and Boating: By the Weather or By the Calendar? Sunday, September 8, 2010. The temperature between late morning and late afternoon ranges between 81 and 84 degrees. The sun is shining brightly and the blue sky is dotted with a few puffy white clouds. The lake water temperature is in the mid-70s. We’re just one week from the middle day of the Labor Day weekend. It’s a perfect day for sunbathing, swimming and boating. But there is not a soul on the beach during the entire day, and not a boat on the lake. What’s going on? Is the calendar so powerful that once we pass that unofficial final weekend of the summer, no matter what the weather is, summer activities are over? We’ve gone back to school and back to work and that means no more summer fun, even on days off. That’s the way it seems, doesn’t it? The funny thing is, that doesn’t seem to work on the other end, the beginning of the summer season. Remember the unusual hot spell last April, when we had two weekend days with the temperature hovering near 90? Even though the water was an icy 60 degrees, folks were wading and even swimming in the chilly water. Apparently, we can’t wait to get summer started, but we are not at all reluctant to let it end before it has to. I make these observations because I live directly across the lake from Pine Tree Beach. While there may not be anything profound here, it’s interesting to me to note the difference in the way people view vacation-type activities pre- and post-season. Posted on September 10, 2012, in ELA Events and tagged Holidays, Labor Day, Lake, Recreation, Summer. Bookmark the permalink. Leave a comment.